Don’t rely on crop data as prices trend will be deciding on arrival of new crop & overseas demand. Market went at year’s highest level, no farmers/stockiest came to show their interest to sell their stock, which proved low inventory & raised doubt on new crop sowing data provided by government authority. Sowing was similar to last year according to announced data, but information via farmer’s interviews on local news channel/newspapers are suggesting that excess/delayed rain caused disease in sesame tree/sowing delayed forced them to wash out sesame for re-sowing of other crops. In annual meeting of IOPEPC last week, they were expecting new year crop of white natural sesame seeds 1,77,000 tons. Indian consumption stands by 1,00,000 tons (both black & white sesame) and Indian exports 3,36,844 tons for the year 2017-18. If we go with numbers, it’s going to be crazy. Setting the numbers aside; going with the arrival status of new crop after new Indian year, demand from Europe, USA, China & Korea (Overall overseas demand), import support from Africa & effect on consumption/production of sesame bread & other sesame confectionery due to higher raw material cost. Some packers/exporters are not taking any position to offer sesame seeds, as market is changing every hour, so our suggestion is to wait for better & stable market to take selling/buying position. 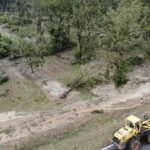 Last week hurricane Michael hit the pecan area in Georgia. Rumours suggest that the damage is significant. The upcoming weeks it will become clear what the exact damage will be. However, first reports are not looking good for the Georgia crop. Last year Georgia was also hit by a hurricane. In the beginning it was claimed that there was 50% damage. At the end, the damage was negligible. This year, however, the feeling is that things are much worse than last year. 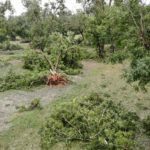 First of all, we hear that a lot of trees have been blown out of the ground. Also the wind has blown the nuts from the trees onto the grounds. 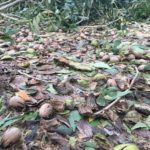 Next to the heavy wind, there have been heavy rains, which might make it hard for the growers to harvest of the nuts fallen on the ground. This could mean that a large portion of the Georgian crop could be lost. Obviously it is still very early. And we will endeavour to keep you up to date on the developments. For now, we see that most suppliers are off the market to see how much the Georgian crop is damaged. This is a preliminary note to inform 2018 season’s official berry count standard recently announced by the Turkish Ministry of Economy. Please let us know if you have any questions or need any information.